I feel like an impresario standing center stage beaming out at the audience, one hand on the curtain as he's about to pull it back and reveal the blockbuster opera he's been nurturing and rehearsing for the past several weeks. That's right, for the better part of a month, I've harbored a secret from you. 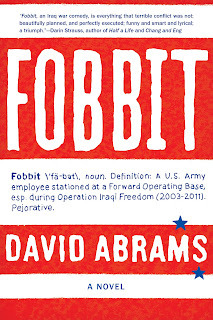 The terrific team at Grove/Atlantic has been working really hard to find just the right cover design for my novel Fobbit. My hat's off to them for the jacket they've come up with; it can't be easy trying to illustrate a story that is one part dark horror show of the Iraq War and one part zany antics of public affairs soldiers. Over the past month, we've considered covers with dog tags, maps of Iraq, and a toy soldier leaning back to toss a coffee cup instead of a grenade. As much as I liked those test designs, each of them was wrong for one reason or another. We have finally all come to agree on a stylized cover which is heavy on the text and depicts an off-kilter American flag, right down to the scatter of misplaced stars. The visionary talent behind the cover design is Christopher Moisan, who was also the talent behind some of my favorite book covers of recent years, including this cover for Still Life by Melissa Milgrom. I think it's going to be huge. Bravo. I like it. Bold, but a little skewed. And I love the single-line "Pejorative." I think it is a fabulous cover, David! Congratulations! I love it! It is very inspired. I really like it, David. The "type attack" approach is very effective when done well. Congratulations! At first I thought it was too plain and I missed seeing a pictorial image of some kind. Then I started to get it. I think it looks like a classic, well done. Thanks for all the wonderful comments, everyone! It's been a long and sometimes difficult road with this cover, but I'm glad to see it might have paid off. I concur. Love the fonts. And the bold look. Congratulations, David! It's an eye-catching cover. 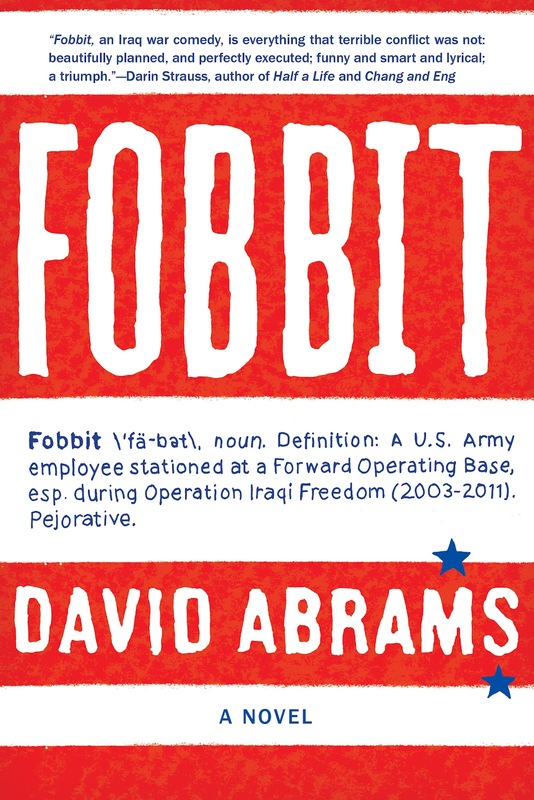 Brilliant idea to include a definition of "Fobbit" for those readers unfamiliar with word. classic cover - simple yet strong. Ha ha... Only smart people will get it.